I haven't done a China post for awhile because I am lazy. But I hope you've all noticed that I'm trying to be a better blogger? An almost daily blogger! The kind of blogger with shiny hair who eats five cups of fruits and vegetables a day! Did I get carried away there? Incidentally, thank you all for the insomnia suggestions. I think I am going to try melatonin. Probably not gonna try vodka/sleeping pills. Isn't that how Heath Ledger died? (God rest his soul). Last night I was actually able to sleep in my bed which is great. For some reason over the past few weeks I have found my mattress too irritating to the point where I can't sleep on it. Why it irritates me is hard to explain. It's just it's essence... and yes I know that criticizing my mattresses essence is the just the birthplace of crazy... but back to China. The best part about China, besides the beautiful scenery and great people is the CHEAP GOOD FOOD. There is are several meals that I think about with great nostalgia and the one pictured above makes the cut. We were in the small city of Jiayuguan and we ate at this tiny hole in the wall restaurant... and keep in mind that we were in China, so "hole in the wall" wasn't quite as euphemistic as it is in the states. We at so many baodza (steamed buns filled with meat). They came so perfect and beautiful stacked in their little bamboo cases. And they were all the more sweeter because it was like $4 total for the four us to eat. Oh China how I miss you so! 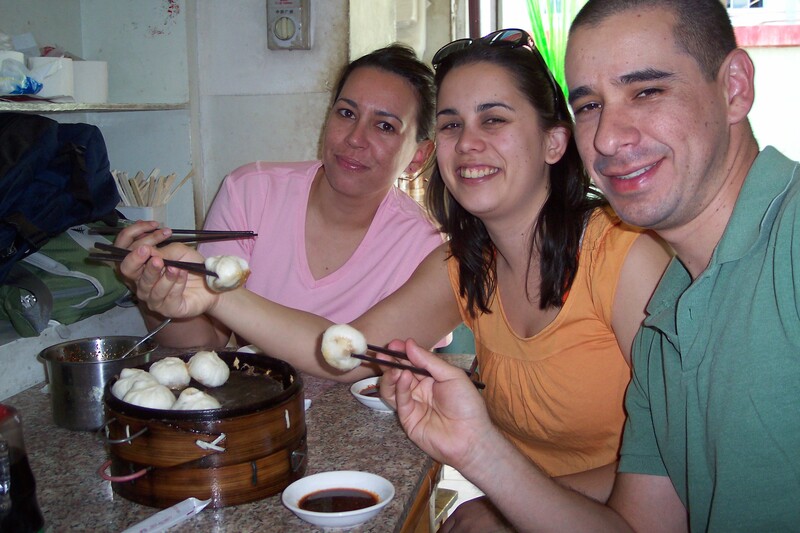 Posted on September 17, 2008 by La Emily and filed under Adventures in the World and tagged China Food Travel.